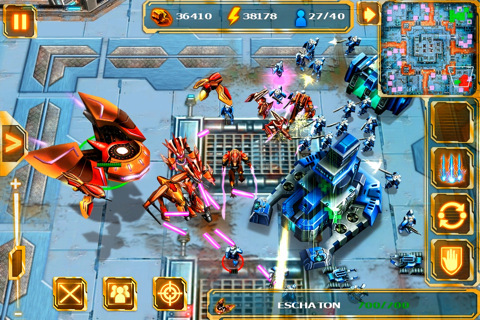 Recently named Apple’s iPhone Game of the Week, Starfront: Collision is the latest release from powerhouse iOS developer Gameloft. 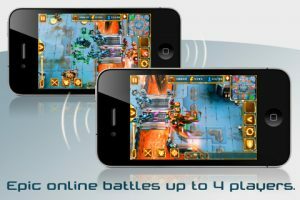 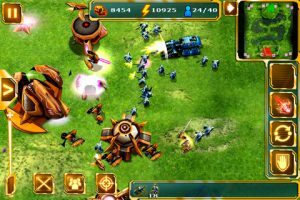 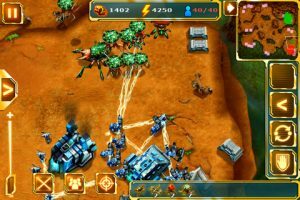 Probably one of the most polished-looking real-time strategy (RTS) iPhone games for some time, Starfront: Collision is available as a free download with a $6.99 in-app purchase required to access full game content. 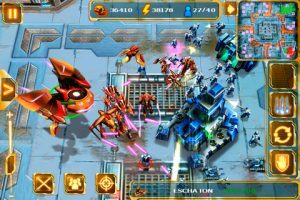 With three playable races (humans, aliens and robots), a crystal-driven economy and build-base-and-destroy-enemy gameplay, it’s not hard to see that a lot of inspiration was drawn from StarCraft. The game features 20 missions as well as a skirmish mode, five different environments and support for 4-player multiplayer. Each race has access to its own tech tree and unique units, with 8 different buildings and 10 units types available to each faction.